See scan - perfect condition. 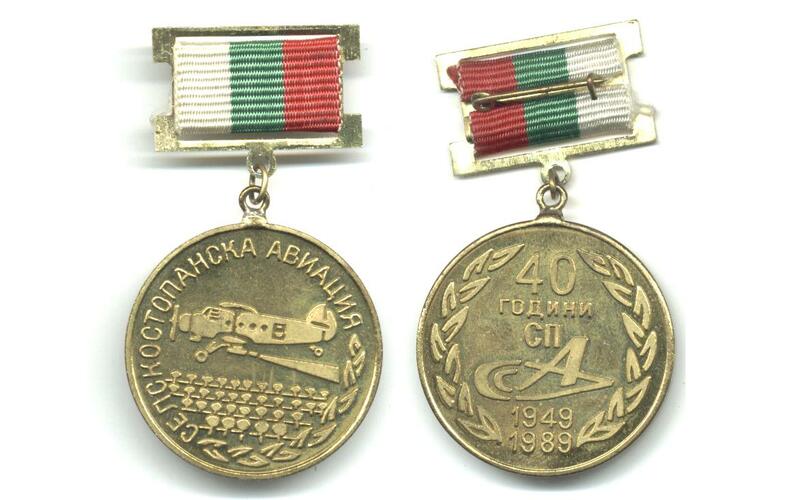 This is a very nice and rare Bulgarian communist / socialist era medal awarded to a very limited number of pilots by the State and Government in order to celebrate 40 years of the Bulgarian agriculture aviation. First time I see this medal and absolutely scarce militaria / military collector piece. Front shows a biplane airplane over the field. One of the very rare Bulgarian medals.